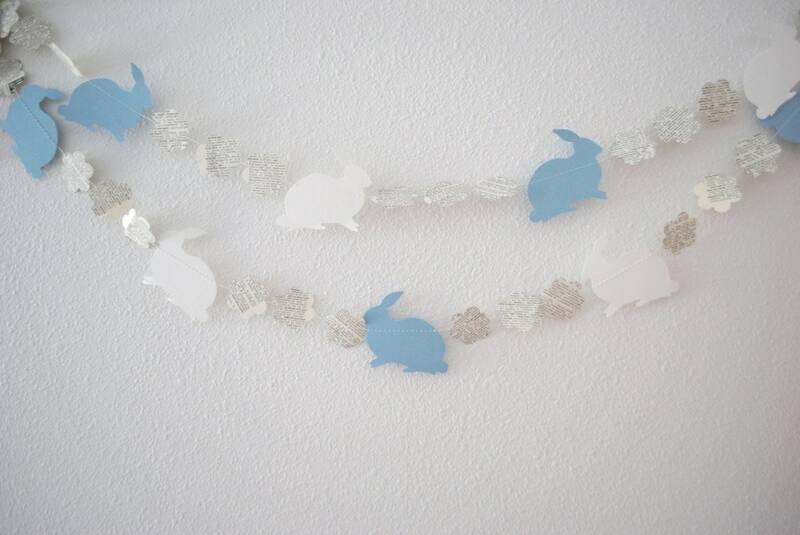 Rabbits and Vintage Flowers Garland. Custom rabbit colors available in your choice of Gold, Kraft Brown, Light Pink, Baby Blue, and more! 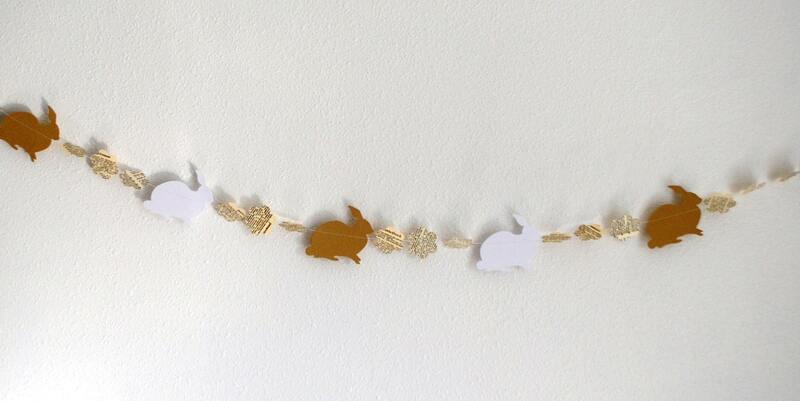 This sweet garland is made up of neutral colored rabbits and flowers. Each of the rabbits are separated by flower shapes created using vintage books. The garland is sewn together with white thread. Each rabbit is about 3" x 2 1/2". We sew loops of white satin ribbon to the ends for ease of hanging. 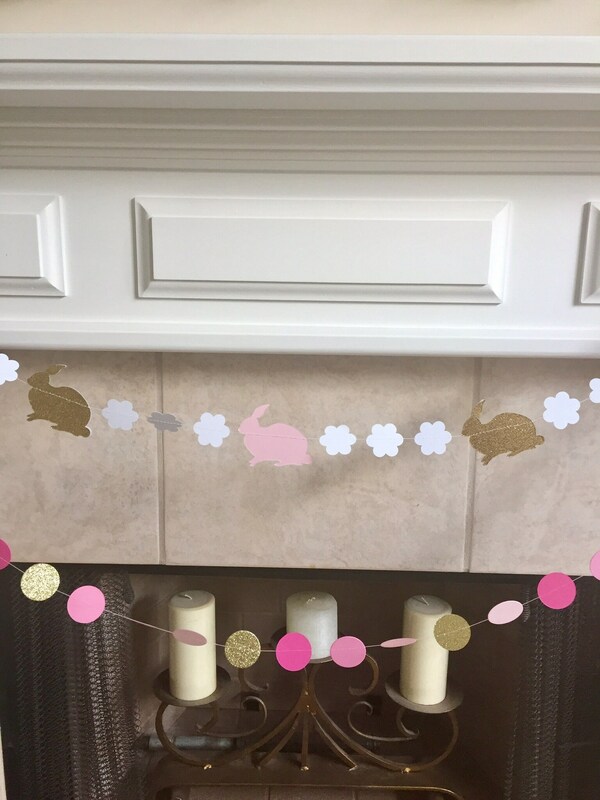 The rabbits and flowers in this garland can be made in any color or combination of colors - if you are interested in something specific, please ask! 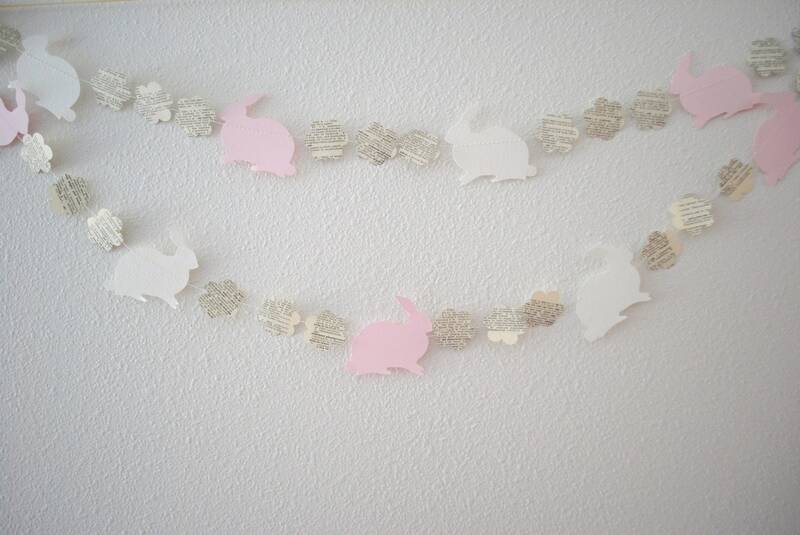 The banner was perfect for our Velveteen Rabbit theme and just adorable for a picture backdrop! It's so pretty and I can tell a lot of work went into it. I just wished the bunnies and all were a tad bigger, but that's just a preference. I hung it on my stair railing & they were a little hard to see or stand out. Still, great work and very lovely design. I LOVE, LOVE, LOVE the GARLAND. The seller provided great communication, quality product & fast shipping! Thanks again. 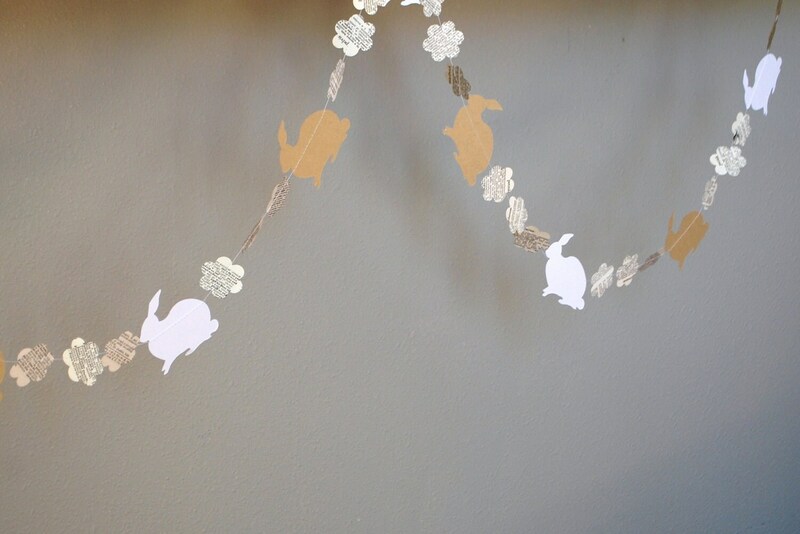 Can't wait to hang this adorable garland up and celebrate Spring! Thank you for your talents!